Here at Dickinson and Son, it's all about keeping YOU and YOUR FAMILY comfy and cozy all year round. We've been happily doing it since 1973, and made a lot of friends in our little community. We think that's a great way to make a living...keeping our friends comfortable in their homes. As we all know, things are changing on good old Mother Earth and so we're doing our part to help out and make it a more "Energy Efficient" place. What's good for Mother Earth is good for all of us. 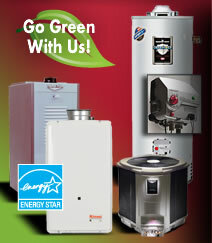 Ask us how you can lower your utility bills in 60 days or less!